Congratulations to the Parkview Center School Rubik's Cube Speed League Division 1 team for winning first place during a recent competition at Capital Hill Magnet School. The team of nine students solved 25 Rubik's Cubes in 3 minutes and 51 seconds, outsolving six other competing Division 1 school teams. Awesome! Thanks to a generous grant from the Roseville Area Schools Foundation the Central Park Elementary School Spark Lab now has a set of 3D pens! Primary classes will now get an introduction to the world of 3D printing and design. This week Central Park kindergarten classes started with lines and 2-dimensional shapes to get familiar with this exciting new tool. 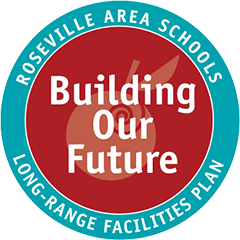 Roseville Area Schools and the city of Roseville co-hosted the 2019 Roseville Area Job, Career & Resource Fair on April 9. Entry-level job seekers, recent grads, those returning to the workforce, and those making a job change had the opportunity to explore career options and resources as well as meet representatives from employers and organizations looking for job candidates. Please join us for the 2nd Annual Roseville Area High School Photography Showcase featuring the work of Photography 2 and 3 students. The showcase will run May 13 - June 5 at the Ramsey County Library - Roseville. Congratulations to Jeff Davies, an industrial technology teacher at Roseville Area High School, who was named one of nine finalists for Minnesota Teacher of the Year. The 2019 Minnesota Teacher of the Year will be chosen from the nine finalists and announced at a banquet on May 5. Good luck, Mr. Davies!